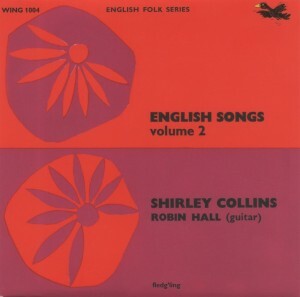 At the beginning of Shirley Collinsâ€™ recording career in 1959 she recorded a series of 7â€ EPs for the Collector Records label. Originally released in short press runs, these rare early recordings have been very hard to find for nearly five decades. For Record Store Day 2016, Fledgâ€™ling Records released a newly-remastered vinyl version of ENGLISH SONGS volume 2 (the third of her Collector EPs, recorded with Robin Hall on guitar). Just like the original, this comes in a front-laminated, flipback sleeve, but with a beautiful new inner bag illustrated with rare photographs.